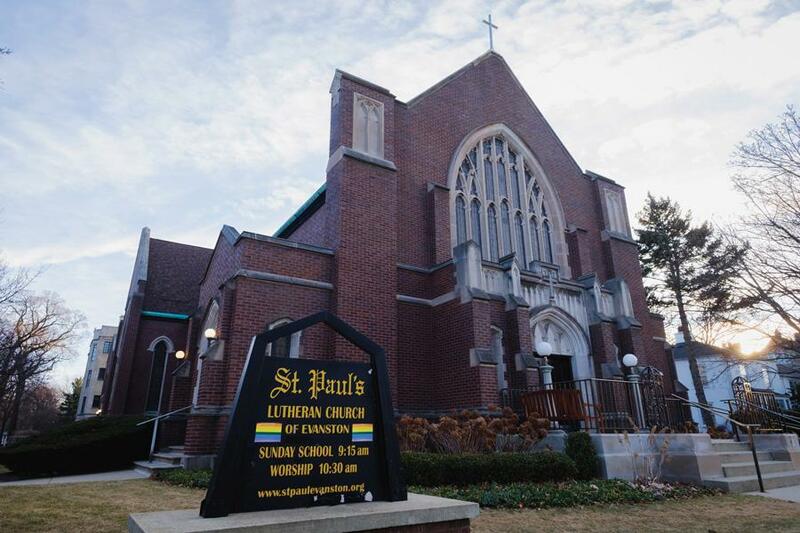 St. Paul’s Lutheran Church, 1004 Greenwood St. Religious leaders recently created a group to protect marginalized people. Members of Evanston’s religious community are spearheading an effort to protect marginalized groups by standing together to resist acts of hatred and violence. The effort, dubbed “Evanston4All,” is led by Evanston’s interfaith clergy and was formed to handle a variety of issues that affect the community’s safety and well being, the Rev. Michael Kirby of Northminster Presbyterian Church said. He said the group saw a need for a unified response from local faith communities to events that took place after the 2016 presidential election. There are three different teams that make up the group: the solidarity response team, the faith resources team and the uniting voices team, the Rev. Betty Landis of St. Paul’s Lutheran Church said. Each team fulfills a different purpose in the organization, and has members from “all walks of life,” not just faith communities, she said. Landis said the subgroup with the most response — the solidarity response team — has close to 300 members and is responsible for a variety of tasks. Those tasks include providing support during potentially dangerous situations and peacefully responding to conflict, according to an organizational document. Landis said the solidarity response team was also trained to respond to potential hate crimes, which she noticed being committed across the country over the past few months. “We’re trying to be prepared to what does it mean to live out our values and to be a safe place for everyone to live and to thrive,” Landis said. A study from the Southern Poverty Law Center found that in the 34 days immediately following the election, there were 1,094 reported incidents of bias — with a third of reported incidents either directly or indirectly referencing President Donald Trump. The study also found 32 hate groups in Illinois, and 917 nationwide as of 2016. Kirby said he wants “Evanston4All” to be able to devise community solutions to challenges and problems brought before them. He said he wants the group to develop well-informed citizens who know their neighbors and their challenges. “In an ideal world, (we can) create a model for a kind of community ethos of hospitality and mutual care that could go beyond Evanston,” Kirby said.